Stores your heated water with a traditional tank. They are typically more economical and can be purchased in gas or electric models varying from 20 to 115 gallons. Efficiencies and rebates range between models and fuel sources. Supplies you with virtually endless hot water. 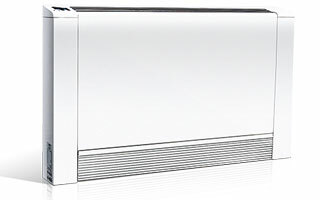 Tankless units heat your cold water right when you need it. Although they typically require a larger up-front investment, they can reduce energy consumption by as much as 30% providing additional savings. They are wall hung units which are a great space saving option. 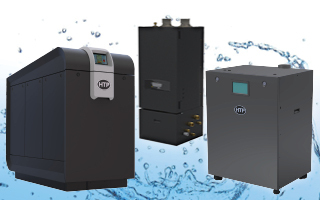 Combines the on-demand technology of a tankless water heater with minimal water storage. 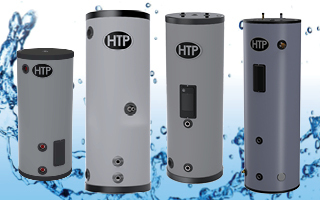 It creates hot water to maximize efficiency without waste or standby loss of a large tank. It provides immediate hot water, like a traditional tank without delay and easily adapts to building recirculation systems. 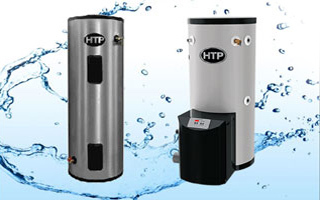 Used to provide large volumes of Domestic Hot Water, typically for commercial applications such as restaurants, hotels, apartment buildings, etc. Are also known as Supply Boilers. How to Find Your Perfect Match? 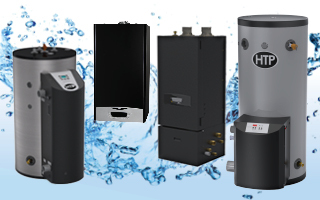 • Do you prefer a tank, tankless, or Crossover model? 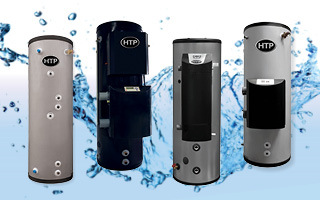 • For commercial applications, a Volume Water Heater (VWH), also known as a Supply Boiler is recommended.